A vital contribution to Christendom's long smoldering debate about papal authority and supremacy. By William Webster. An examination of the patristic exegesis of the Rock of Matthew 16:18 and of the early Church's relationship to the Bishops of Rome. 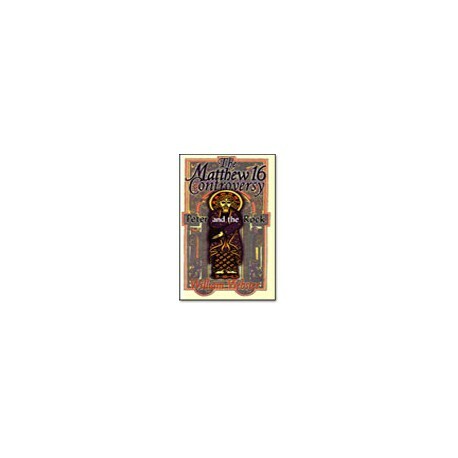 Contains one of the most extensive documentations of the patristic interpretation of Matthew 16:18 in the English language. "William Webster has gathered the most formidable body of data concerning the interpreatation of the locus classicus of the authority of the Bishop of Rome to be found anywhere. In addition he has included the studied judgments of a large number of contemporary scholars -- Protestant, Catholic and Orthodox -- concerning the historical treatment of the Matthew 16 passage. That the contemporary Roman Catholic interpretation had no place in the biblical understanding of the early church doctors cannot be disputed." From the foreword by Dr. Tom J. Nettles, Professor and Chairman, Department of Church History, Trinity Evangelical Divinity School, Deerfield, IL. "This book makes a vital contribution to Christendom's long smoldering debate about papal authority and supremacy. William Webster convincingly demonstrates that the Roman Catholic dogma of papal infallibility, set forth at Vatican I (1869-1870), is based on a dubious interpretation of Matthew 16:18 which deviates from the exegetical consensus of the church fathers. His provocative analysis is based on a careful reading of both historical texts and more contemporary scholarly literature. The data gathered here is devastating for some key principles of traditional Roman Catholic ecclesiology." Dr. James A. Patterson, Professor and Chairman, Department of Church History, Mid-America Baptist Theological Seminary, Germantown, TN.